Editor’s note: James “Whitey” Bulger was killed in a federal prison in West Virginia on Oct. 30, five days after this article was published. For details, click here. Notorious gangster James “Whitey” Bulger, who’s serving a life sentence for 11 murders, was recently moved from a federal prison in Florida to a transfer facility in Oklahoma, according to the US Bureau of Prisons website. 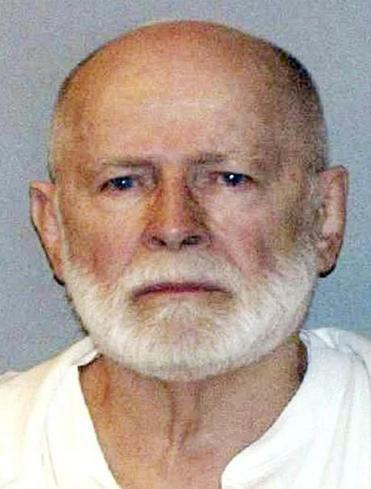 The agency declined to comment on the reason Bulger was moved or disclose where he will be incarcerated when he leaves the Federal Transfer Center in Oklahoma City. “For safety, security, and privacy reasons, we can not disclose specifics regarding inmate movement or transfers,” a Bureau of Prisons spokesman said. However, a person familiar with the situation said Bulger’s health has deteriorated and he is expected to be moved to a federal prison medical facility. Bulger, who turned 89 in September, has suffered from a heart condition for decades — even before he became a fugitive. The former South Boston crime boss and longtime FBI informant was one of America’s most wanted criminals until his capture in Santa Monica, Calif., in 2011 after more than 16 years on the run. In 2013, a federal jury in Boston convicted him of participating in 11 murders in the 1970s and 1980s while running a sprawling criminal enterprise involved in gambling, extortion, and drug trafficking. He was sentenced to life in prison. Bulger was transferred to US Penitentiary Coleman II in Sumterville, Fla., in 2014 from another high-security penitentiary in Arizona after his relationship with a female psychologist who was counseling him came under scrutiny. Travis Andersen can be reached at travis.andersen@globe.com. Follow him on Twitter @TAGlobe. Shelley Murphy can be reached at shelley.murphy@globe.com.